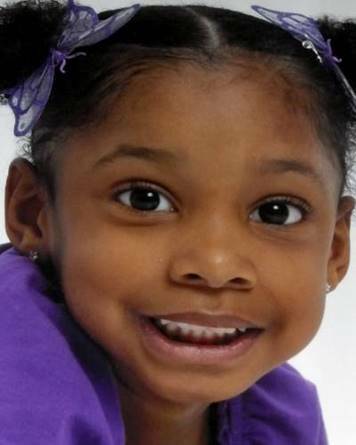 UPDATE: 4/28/15 – Jurors on Monday convicted Jerice Hunter of abusing and killing her 5-year-old daughter, Jhessye Shockley, in what was the culmination of a missing-persons case that began in September 2012 with the Glendale mother’s arrest. Note: I have done many stories on Jahessye. If you would like to read them, please go to the search box above and type in “shockley”. The police have been going through thousands of tons of trash in a 36,000 square-foot area of hte Butterfield Station Landfill in Mobil since February 5. Police believe Jhessye’s body was disposed days before her mother reported her missing on Oct. 11. Police arrested Jhessye’s mother in November on suspicion of child abuse. The charge was later dropped and she was released from jail after prosecutors said they wanted to investigate further. Police haven’t confirmed whether they want to pursue a murder case without the girl’s body. Jahessye has been missing since October 11, when her mother said she returned from running errands and she was not in the apartment with her brothers and sisters. Earlier today, Jerice’s apartment was cordoned off with yellow police tape while investigators searched, after obtaining a second search warrant. Jerice’s other children, including a newborn, was taken away by protect services last month, although they have never specified why, although the oldest child told police that his mother beat them.